BRYAN EATON/Staff Photo. 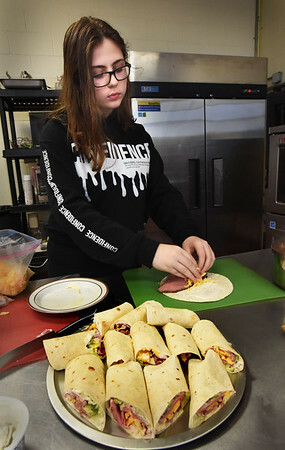 Kaliah Chernick, 13, of Plum Island became an expert in making wraps as she perfected roast beef, herbed cheese and vegetable ones in cooking class at the Boys and Girls Club in Salisbury. The theme in this week's class was lunch where members also made chicken noodle soup, macaroni and cheese, chicken quesadillas and lemon squares.